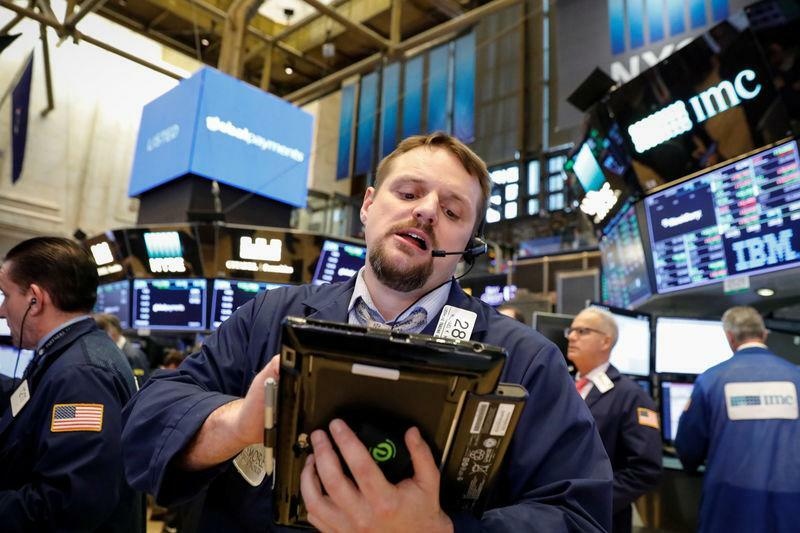 The Dow Jones Industrial Average rose 213.59 points, or 0.87 percent, to 24,786.63, the S&P 500 gained 28.55 points, or 1.07 percent, to 2,706.39, and the Nasdaq Composite added 124.81 points, or 1.74 percent, to 7,281.10. MSCI's gauge of stocks across the globe gained 0.71 percent. The euro flattened after rising above $1.24 to a three-week high on mixed Chinese economic data, easing fears of Syria retaliation fears and overall renewed risk sentiment. Sterling was last trading at $1.4289, down 0.32 percent, after hitting nearly $1.438, its highest level since Britain's vote in June 2016 to exit the European Union. The dollar index, which measures the greenback against six other major currencies, rose 0.06 percent, strengthened by the weaker euro and sterling and by stronger-than-expected U.S. housing starts in March and a positive reading on industrial production. "Even with the bad weather in March, the data has really strengthened, supporting the view that the Fed will most likely have to hike rates in June," said John Herrmann, director of U.S. rates strategies at MUFG Securities in New York. European shares advanced, with the pan-European FTSEurofirst 300 index rising 0.8 percent. Germany's Deutsche Boerse DAX index closed 1.57 higher. Oil prices steadied as investors took profit on last week's rally and amid concern over the potential for supply disruptions. U.S. crude rose 0.36 percent to $66.46 per barrel and Brent was last at $71.52, up 0.14 percent. In China, stocks in Shanghai [.SS] closed near a one-year low, after a U.S. move to ban American companies from selling components to Chinese telecom equipment maker ZTE Corp <0763.HK> hurt tech stocks. However, China's economy grew 6.8 percent in the first quarter from a year earlier.